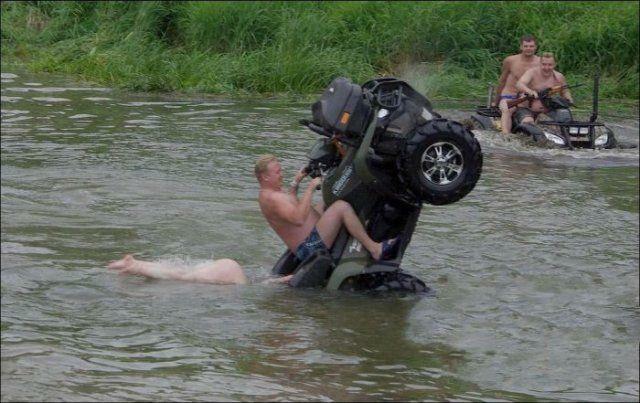 I'm thankful we've stripped down these group ATV rides to their bare essentials. I'm thankful that beer and water crossings are two of them. I'm thankful these are professional riders under controlled situations, and that nobody would attempt these stunts. And I'm thankful it's Friday, May 15, 2015. 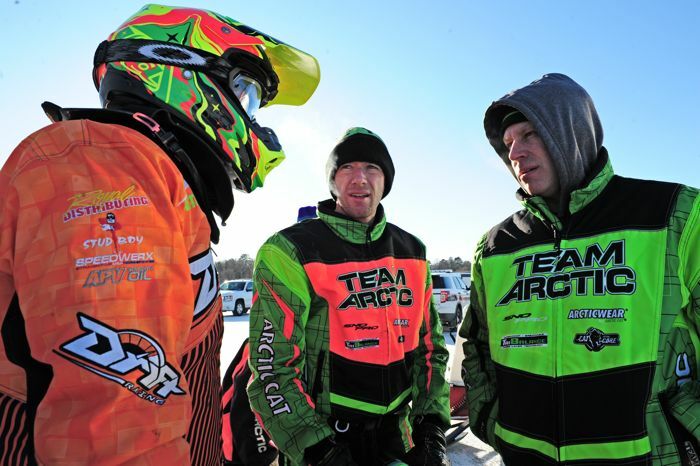 With the 2015 snowmobile race season in the record books, Team Arctic Race Manager Mike Kloety talks about the highlights, lowlights and what to expect for next year. I'm thankful for the quality time we've been spending together on our snow machine. 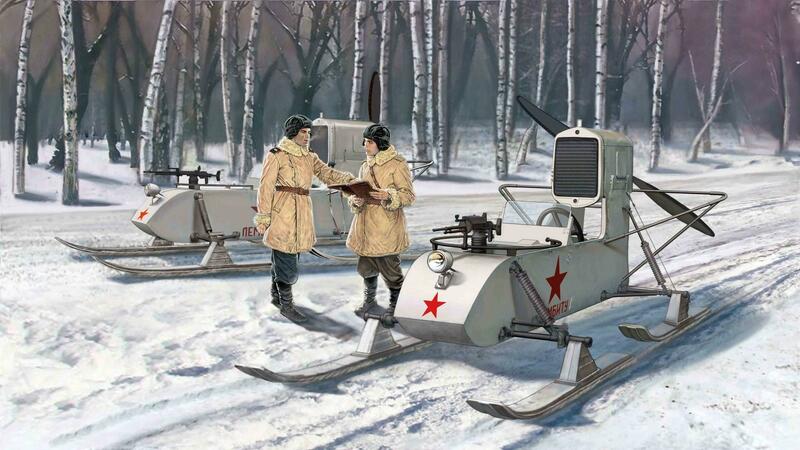 I'm thankful I ignored the advice of everyone, and went with the three-wheeled trackless beauty. I'm thankful when you give me that look, which is much more fun than so many of your other looks. And I'm thankful it's the first day of May in 2015. Former Team Arctic and Enduro Team Deere cross-country champion Brian Nelson experienced some remarkable moments during his illustrious racing career. Here he recounts many of them in a podcast conducted by veteran snowmobile journalists Gord Avann and Hal Armstrong. Nelson's memory and attention to detail is uncanny and a great listen. At nearly an hour and forty minutes, it's a long one. But definitely worth the time. 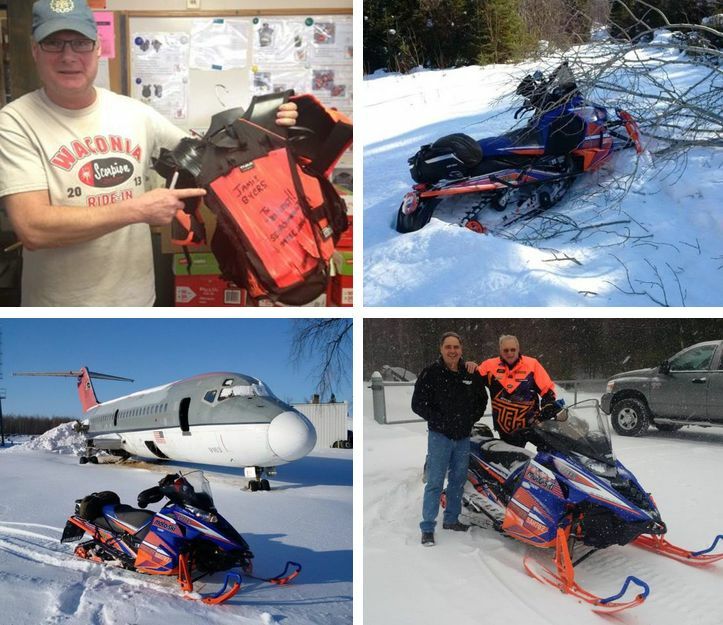 This past summer-Fall, Chris Olin and the gang at Rox Speed FX in Grand Rapids, Minn., built another one of their stunning custom sleds: a retro El Tigre-themed 2015 Arctic Cat ZR 6000. Like all Rox customs, this sweetheart combines creativity, coolness and key attention to detail. Click for a modern blast from the past. I'm thankful for the freedom I feel when I hit the open road, er, trail. I'm thankful for extra stability and confidence I feel on the trike set-up. I'm thankful the stand-up style of riding won't become popular for another 25 years. And I'm thankful it's Friday, April 24, 2015. 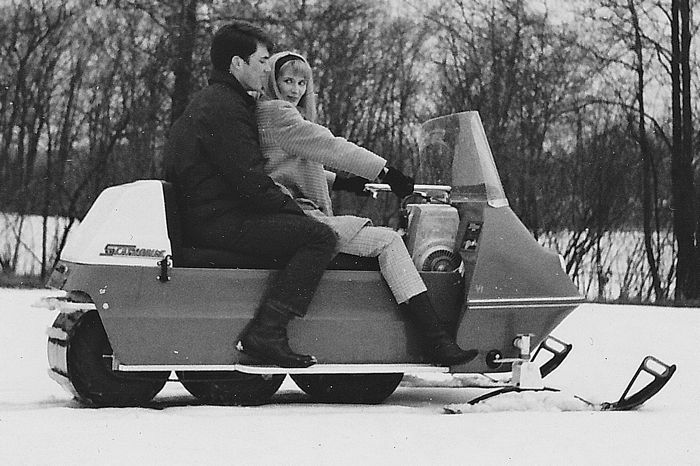 With more than 50 rare and historic Arctic Cat snowmobiles in his collection, Tom Ische epitomizes the passion and expertise required to amass such treasure. He is a master of the chase. Last week I spent a day with him combing the Thief River Falls area of vintage parts, during which he procured seats, suspensions, engines, hoods and information. We even walked around a dump (supposedly) containing some of Arctic Cat's most historic machines. 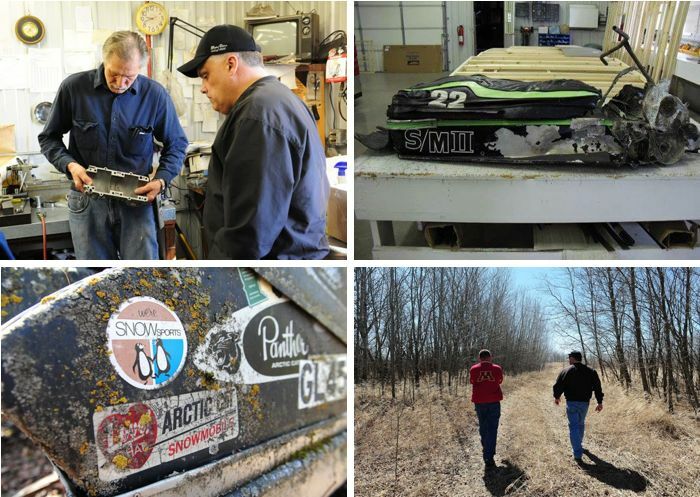 Click for rare glimpse into the world of snowmobile collecting. Last Friday was my friend Kale's 40th birthday. 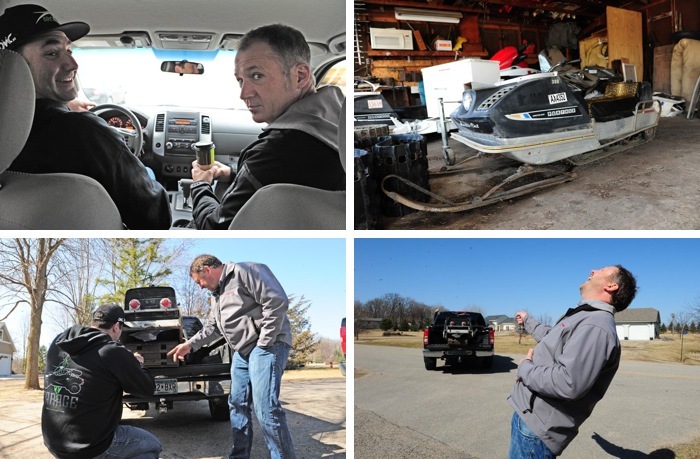 To celebrate (and help Kale assuage his mid-life crisis), I joined him and our friend Pat for a day of work, er, adventure to see a vintage 1970 Arctic Cat Panther being sold by some scammer on craigslist. Click so see exactly how a craigslist scam unfolds. 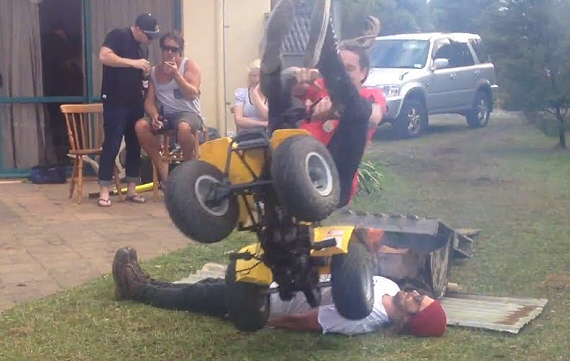 I'm thankful what can happen when we combine ATVs, pallets and beer. I'm thankful that I can trust Billy Bob with my life. I'm thankful we've done stunts like this so many times, that the rest of the gang don't even pay attention any more. And I'm thankful there's plenty more of this action happening later today, because it's Friday, April 10, 2015. First, CLICK ON THIS to download and read a wonderful .pdf diary of Steve Brand's 26-day, 4,687-mile Mega Sonic Memory (snowmobile) tour. 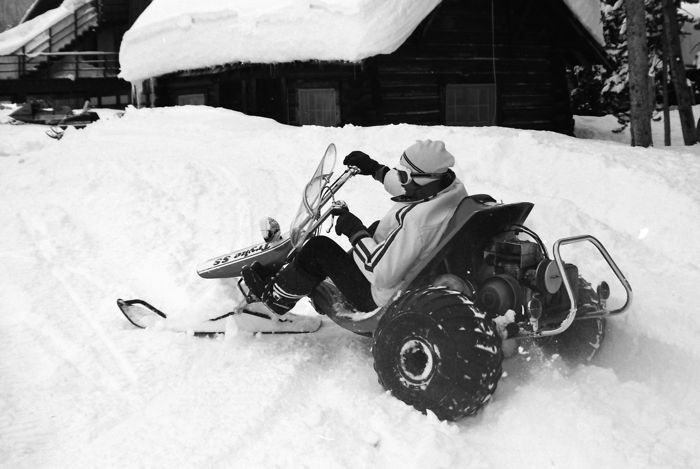 It is SO worth reading for the sheer adventure and wisdom of a 60-year old guy who has been in the snowmobile industry for nearly four decades. 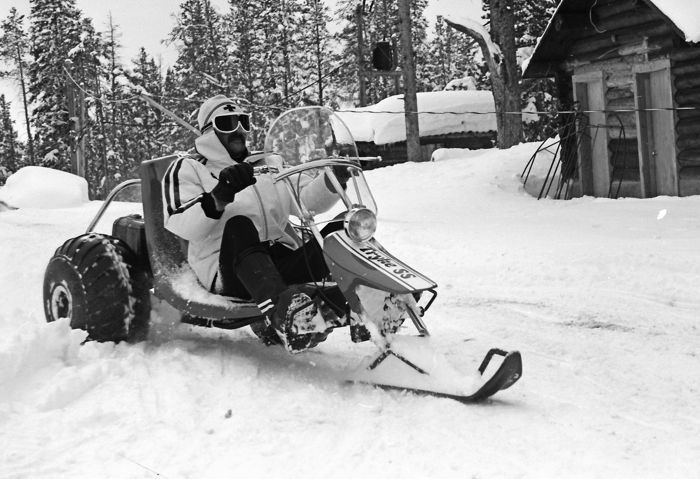 Then read the interview to learn more about everything from rediscovering snowmobiling, riding solo and more from the man who brought us TekVest. I'm thankful me and boys can kick back a few tall cool ones b'for heading out to our fav'rit honey hole. I'm thankful this here wheeler is built right here in the good ol' U-S-of-A. I'm thankful a little noodling is all it took to clean me up real good. And I'm thankful it's all good on this Friday, April 3, 2015. Tucker Hibbert to Race a 4-Stroke! 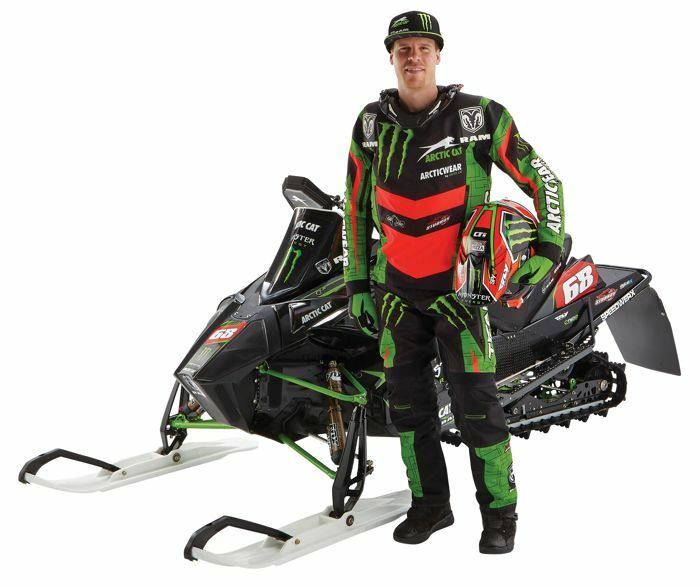 Today’s racing news is as much a shock as it is compelling: In a recent conversation I had with Team Arctic’s Tucker Hibbert, the snocross racing legend confirmed to me that he will race a 4-stroke machine this coming season! Could this be a watershed moment in the history of big bump racing? Click to read a short interview with Hibbert about his plans for 4-stroke racing. I'm thankful for the improved mountain performance characteristics offered by a vertical steering post, new lightweight spindle, narrow ski stance and reshaped skis, as well as the gear-carrying versatility of the new rear rack. 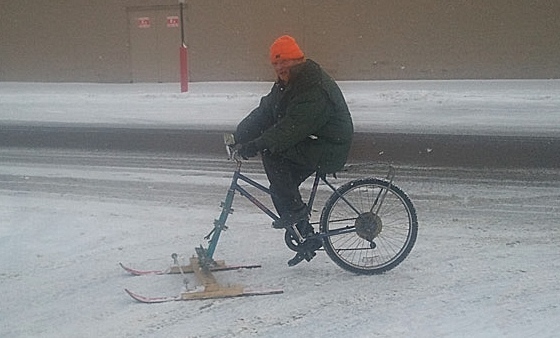 I'm thankful that I can ease into summer gracefully while still enjoying my favorite wintertime activity. I'm thankful that if you have to ask, you wouldn't understand. And I'm thankful it's Friday, March 27, 2015. 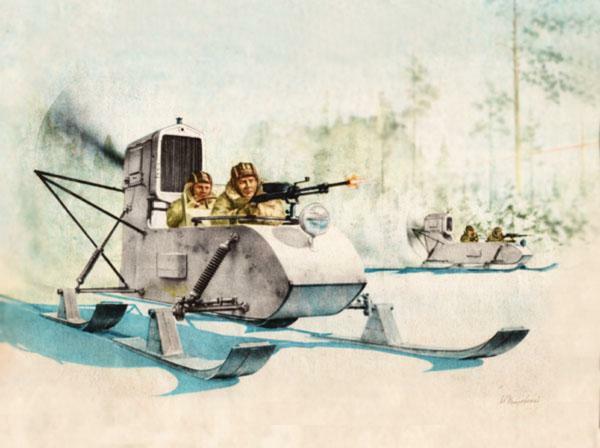 I'm thankful that, somewhere deep in Siberia's boreal forests, the Soviet military is guarding against unruly SledNecks. I'm thankful the Cold War ended. I'm thankful for the Limited Edition Turret model 2-up Touring available as a Spring-only option. And I'm thankful it's Friday, March 20, 2015. 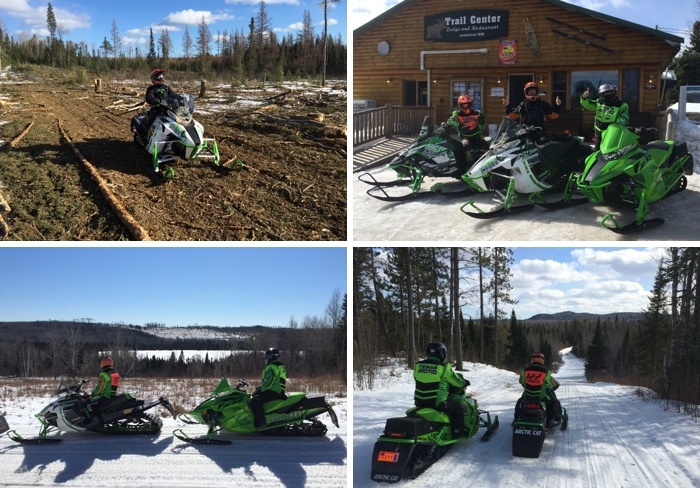 The End is Near: Last (Snowmobile) Ride of 2015? Winter here in Minnesota came to an abrupt end last week, as an 80-degree swing in temps and highs in the upper 60s fairly destroyed what little snow had accumulated in the past few months. But there WAS some late season snow still hanging on in the Gunflint area of Minnesota's North Shore. So with my son on spring break and my friend Tom Rowland always game for an adventure, on Tuesday we attempted what might be our last ride of the season. Click to see if we succeeded. 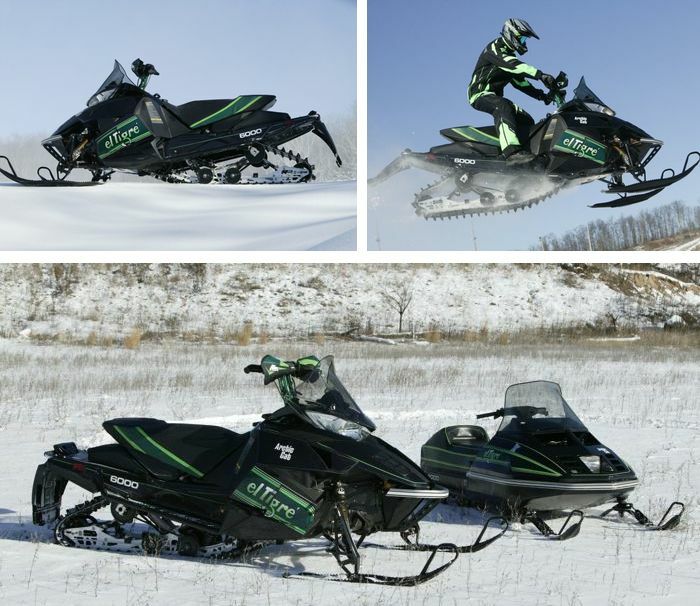 Where to see new 2016 model Arctic Cat snowmobiles? 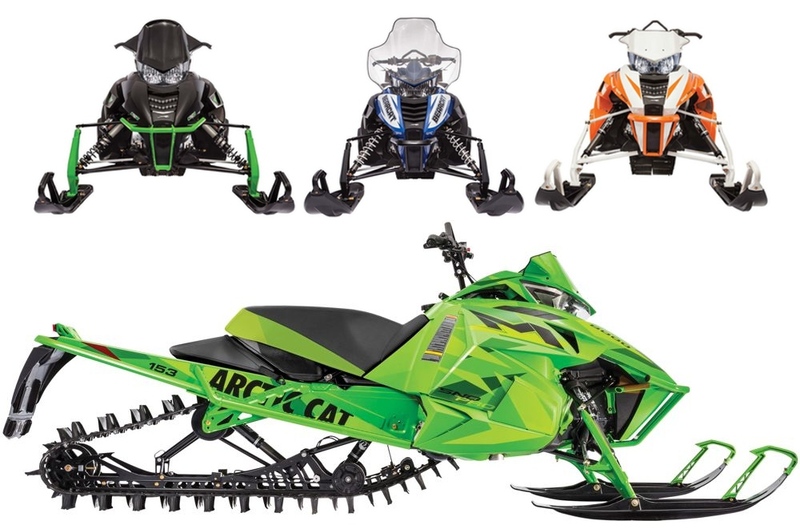 Select models are probably already at your local Arctic Cat dealer. If they're not yet, they will be next week. Plus there are a few key events where you can see most of the full model line. 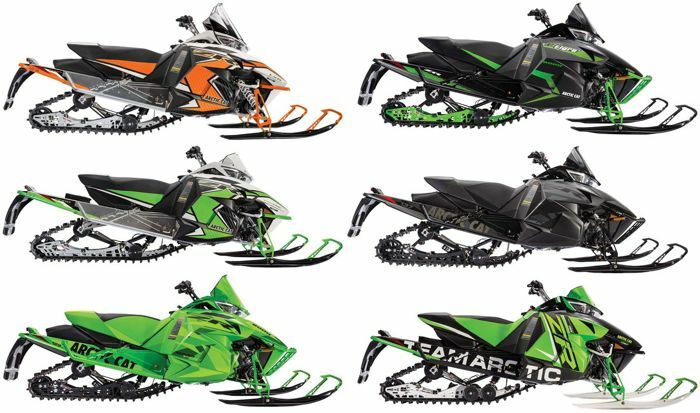 With the news that Arctic Cat is going to TEAM clutches for most of its 2016 snowmobile model line comes the question: What is it about these clutches that are an improvement over the Cat drive and driven assemblies? Shift over to the story and find out. 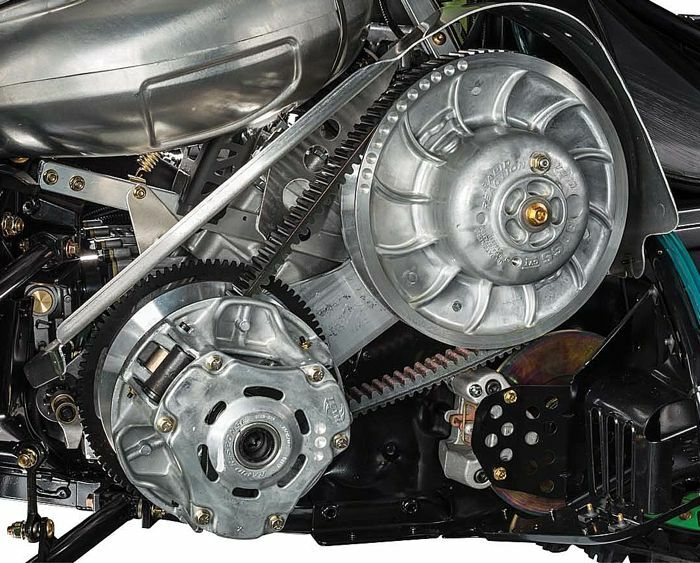 The new WR3 Easy Shift transmission that comes on select Bearcat and Pantera models will make a huge improvement in overall utility applications for owners who need it. Shift into gear to read more. 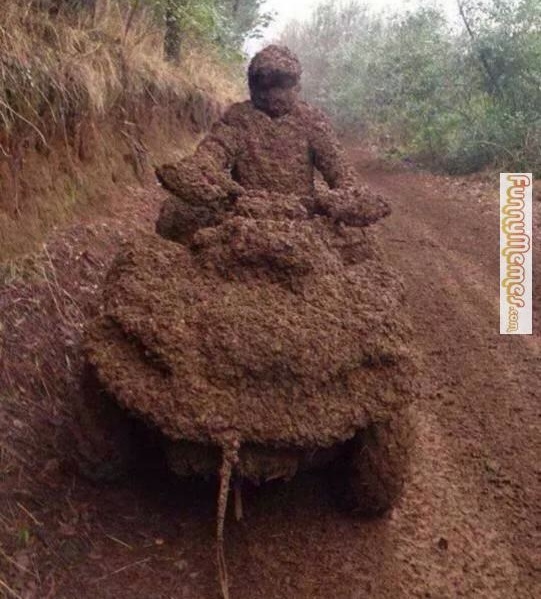 Arctic Cat rider walks into a bar. 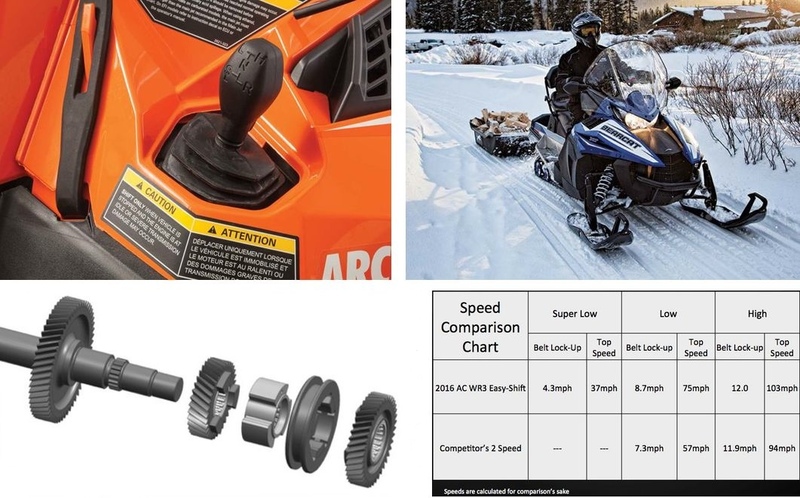 To help you make sense of all this talk of various 2016 Arctic Cat snowmobile packages, I’ve put together this handy reference guide. Click for the whole package. Arctic Cat was BUSY this past year! For 2016 the company introduced new models; heavily revised its mountain sleds; switched to TEAM clutches on most of its models; added a new 4-stroke engine; offers new quick-adjust FOX shocks; and more. Click to read the 12 things you need to know, with more in-depth stories to follow in the coming days.